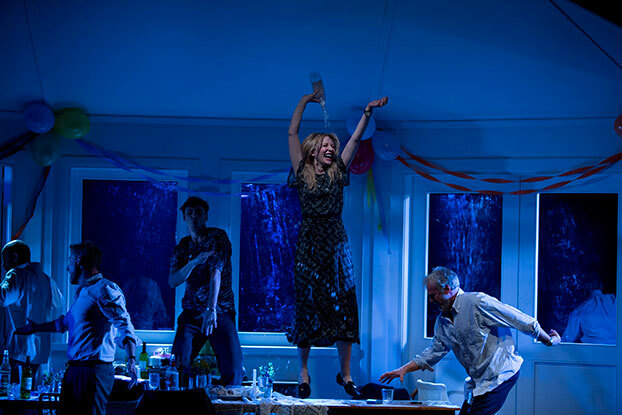 In The Present, Andrew Upton adapted Anton Chekhov's first untitled play and brought it forward a century to the Russia of the 1990s. A play that revolves around the competing expectations and desires of different generations, punk songs played a pivotal role in reflecting a spirit of rebellion and youthful protest. Leavening the guitars of The Clash and Billy Bragg was the distinctly un-punk Eurodance of Haddaway's 'What is Love' – memorably danced to by the cast at the end of a very long lunch. Joy Division's seminal 'Love Will Tear Us Apart' wasn't actually played in the production, but it was quoted, so that's more than enough reason to include it. Listen. Dance. Enjoy.